Federico Monzon, M.D., chief medical officer of Castle Biosciences, entered the pathology field in the early 2000s and was among the first professionals to enjoy formal accredited recognition as a molecular pathologist. In that time his work has taken him from University of Pittsburgh Medical Center, Houston Methodist Hospital, and Baylor College of Medicine to a commercial role at genetic testing company Invitae before taking his current job. As an early entrant in the molecular pathology field, he has a keen perspective on where the field has been, and where it is going, experience he will call upon starting in November when he assumes the presidency of the Association for Molecular Pathology (AMP). 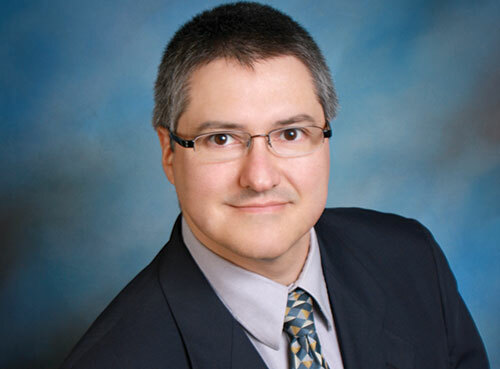 Monzon recently took time from his schedule to chat with Clinical OMICs Editor in Chief Chris Anderson to discuss the molecular lab of today and its place in the health system of the future. Clinical OMICs: What are some of the significant contributions molecular labs are making to the practice of medicine today? Dr. Monzon: Well the first and most important thing is providing an accurate diagnosis. That is what many molecular labs do. And it is where the patient journey starts. This is exemplified in the oncology field where it is very important to define what molecular subtypes of a malignancy a person has. When I started my training, we were used to a morphologic classification of the disease. We now see molecular classification as defining what disease a patient has. For example, there are dozens of different types of leukemia and most of them are defined by the presence of a molecular alteration in that disease. Being able to find an alteration and accurately identify it, is the basis for what happens next with that patient. It is not just for oncology. It is the same determining which virus a patient has, what is the subtype, whether the virus is resistant to this or that drug, or a bacteria. And the same happens in inherited diseases, to be able to determine exactly which gene is mutated. Even the location of the mutation can have a significant impact on how severe the disease is going to be. Even though we may not be able to cure the patient with a genetic disorder, we may be able to help determine how that patient is going to be taken care of by providing an accurate diagnosis and, more importantly, the molecular classification of their disease. CO: What does the future of the molecular laboratory look like? Dr. Monzon: More and more decisions will center on the ability to molecularly characterize a disease. So the molecular diagnostic laboratory will have a pivotal role. What does that look like? Will we be able to maintain an environment where we have academic laboratories doing a good chunk of innovation and development that then can get translated into either reference laboratories or tests being done at local laboratories within the academic core and even community hospitals? The ecosystem that exists now encourages innovation to happen quickly and get those tests quickly into the hands of the clinical laboratories and make them accessible to patients. So the question is can we maintain this ecosystem when we overlay regulatory pressures, and financial or reimbursement pressures. CO: As molecular testing has taken a more central role in providing information for more precise treatments, how has the relationship between pathologists and physicians changed? Dr. Monzon: Pathologists have always been providers and supporters of the information that is needed to make management decisions. So that role hasn’t changed. I think what has changed is the complexity of the information we are providing. But as the complexity of molecular testing increases, there is an increased need for a dialog between molecular pathologists and clinicians to say: “What does this mean? What is the evidence? What information do we have about this mutation, or about this expression pattern, about the collection of molecular alterations that we are seeing in this patient? That is what must change, it becomes a dialog from the molecular pathologists with the clinicians to how do we approach this patient. It is the basis of what we now know as precision medicine.